US wireless operators Sprint and T-Mobile will form a new company and push development of a super-fast 5G network, the heads of both firms said Sunday. The announcement came months after the two companies called off merger talks when they failed to clinch mutually agreeable terms. 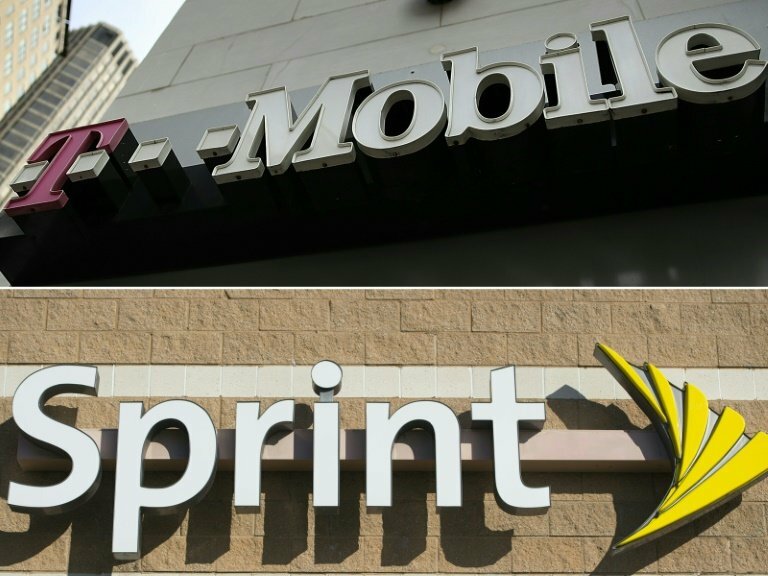 "I'm excited to announce that @TMobile & @Sprint have reached an agreement to come together to form a new company—a larger, stronger competitor that will be a force for positive change for all US consumers and businesses!" T-Mobile CEO John Legere announced as part of a series of tweets about the tie-up. 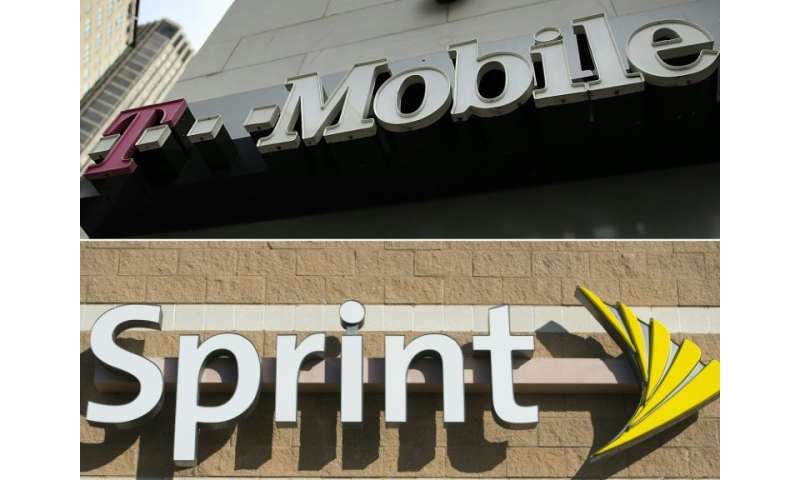 T-Mobile, a division of Germany's Deutsche Telekom, and Sprint—a subsidiary of Japan's SoftBank—are at present the third and fourth largest US wireless operators, respectively. Together they would have about 131 million subscribers, virtually matching second-ranked AT&T and posing stiff competition to market leader Verizon Communications. Sprint chief executive Marcelo Claure also used Twitter to announce "some incredibly exciting news - @Sprint and @TMobile are joining forces." He said they will "combine to create the most disruptive U.S. carrier!" In a video posted online the long-haired Legere and Claure, wearing a T-shirt, appeared side-by-side. Legere said "the New @TMobile will be the ONLY company able to bring a broad & deep nationwide 5G network—something no US wireless company could achieve alone in the critical early years of 5G." In its first three years, the new firm will be able to invest around $40 billion, "nearly 50 percent more than both of us invested in the last three years," he said. Legere announced that he would lead the new company as CEO, while T-Mobile's chief operating officer Mike Sievert would be president. T-Mobile is one of the biggest earners for its German parent. In 2017, it added 5.7 million net new customers compared with 8.2 million the previous year, but the hoped-for merger with Sprint fell through in November. At that time, the Communication Workers of America union had warned that a merger would result in the loss of at least 20,000 US jobs through store closings and other consolidation, while also harming consumers. The two firms had previously held talks in 2014 on a merger but ended discussions in the face of opposition from US regulators. 5G or fifth-generation wireless communication networks would enable services such as smart cities, remote surgery and driverless cars. The networks would allow customers to experience video and virtual reality with greater ease. Claure, who is also a partner in David Beckham's Miami Major League Soccer franchise, said "the difference between 4G and 5G is the difference between black-and-white TV and color TV." The first commercial 5G roll-outs begin this year and next in the United States, Korea and Japan, but industry players have cautioned development of 5G still has a long way to go. In February China's Huawei unveiled what it said is the world's first commercial chipset to meet the standards of 5G wireless networks. An unusual move by US President Donald Trump earlier this year to block a proposed takeover of Qualcomm by a chip rival then based in Singapore highlighted growing concerns about the rise of Chinese competitors. Trump's order made no mention of China, but a letter from the US Treasury Department warned that the mooted takeover by Broadcom might hurt US leadership in 5G. 5G will account for 14 percent of global wireless connections by 2025, according to GSMA, the global mobile operators association. Deutsche Telekom CEO Timotheus Hoettges has estimated the cost of providing 5G networks in Europe alone will be EUR300-500 billion ($363-606 billion). The telecoms industry will invest $275 billion in the United States to develop 5G networks there, Claure said at the Mobile World Congress in Barcelona in February.